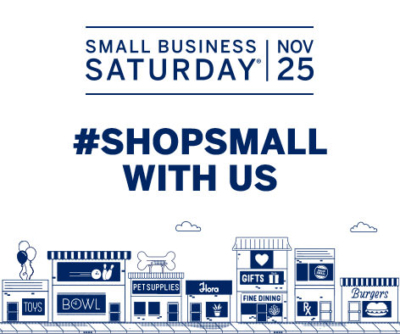 As the country looks to Small Business Saturday on Nov. 25, remember more than $15 billion was spent in 2016 during this national day of celebration and support of small businesses in the community. 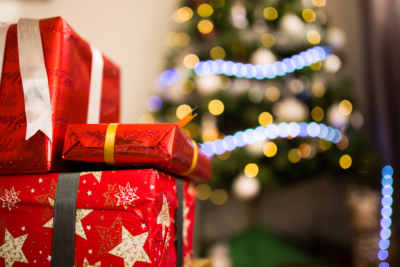 Kick off your business’s holiday season with your and your customers’ interests in mind with SBA’s seven holiday marketing tips on a limited budget. Contributor Caron Beesley says to think outside of promotions and discounts. If you operate a retail business, restaurant or any gift-oriented business, why not plan an open house event? Use it to showcase holiday season gifts, menus and merchandise. Offer up a glass of warm cider or mulled wine, and really get people into the spirit of the holidays. This will give customers an opportunity to check out your merchandise or holiday menus. You could throw in a special offer or coupon that customers can redeem anytime up until Dec. 24. Think of ways to generate repeat holiday business from your existing customers. Special offers, sneak previews, free shipping, or secret sales are all great ways to make your faithful customers feel special without breaking the bank. And don’t forget to communicate this themed promotion on your website, social media, email, posters and flyers. Whatever your business, selling gift certificates, gift cards and e-certificates is a great way to give your customers a convenient gift option. They also help you generate sales well into the New Year, with recipients often spending more than the value of the certificate. It’s likely that many of the businesses in your community also rely heavily on the holidays for a good chunk of their income. Is there a way you can partner with complementary stores or restaurants to cross-promote each other’s businesses? For example, a cosmetic store and a hair salon might develop a promotion that offers a time-limited discount off each other’s respective goods and services, if the customer frequents both. SBA guest blogger Rieva Lesonsky offers more tips in her blog Forget Competition It’s Time for Co-Opetition. Getting out there and supporting charities or sponsoring or getting involved in community events is a great way to generate awareness for your business during the holidays. Even if you don’t have the budget to donate large sums of money, think of other ways to get involved, such as offering volunteer services, equipment or even space. Your online presence, email marketing, and social media networks are a great way to target and connect with local consumers through timely updates and compelling calls-to-action. Develop holiday themes for your email templates and update your website and Facebook profile picture with a festive look. Then be sure to channel any offers or promotions through social media. You can even offer deals or events exclusively to your social media fans to help drive foot traffic and generate leads. And don’t forget to engage in two-way dialogues. Ask your fans about their holiday activities. For example, a restaurant might highlight a holiday dish of the day on Facebook and ask fans to chime in on their favorite dish or items they’d like to see on the menu.